Mothers Day in the UK this year is 30th March, so there’s plenty of time to source everything you need for this little dried flowers project. This is a simple way of making a personal gift for your Mum on Mothers Day. Hunt through your fabric scraps for a pretty vintage-style pattern – you only need a little fabric to make this little bouquet extra special! This dry flower posy will stay attractive and gently fragrant for months – unlike fresh flowers. 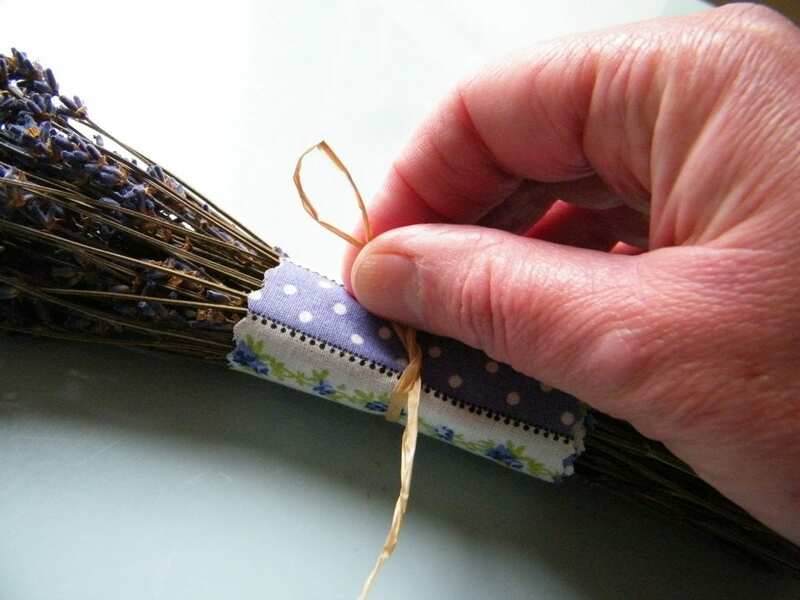 First make a tidy bunch of the lavender and hold in place with the elastic band (this will be hidden under the fabric). The bunch will be about an inch (2.5cm) across at the elastic. 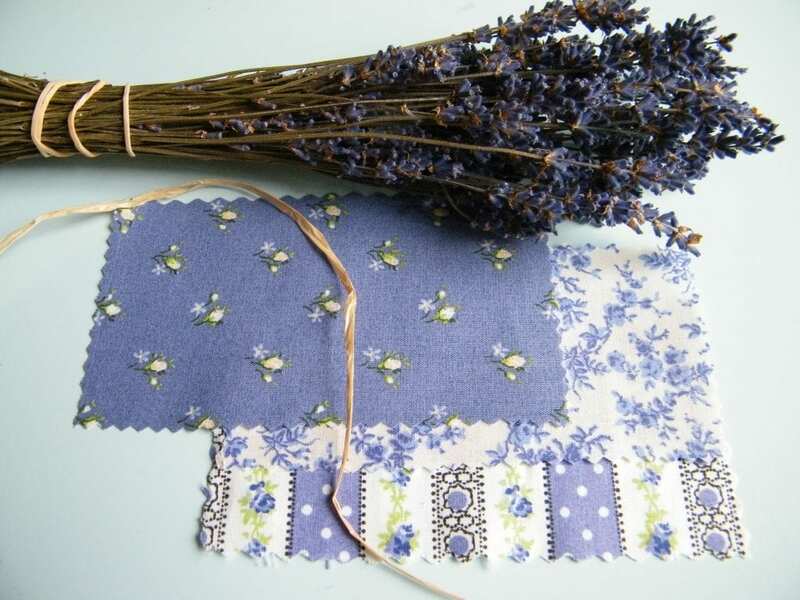 Trim the fabric with pinking shears if you have them, and wrap around the lavender stems so that the join is at the back. Hold the fabric with a piece of raffia tied in a bow. 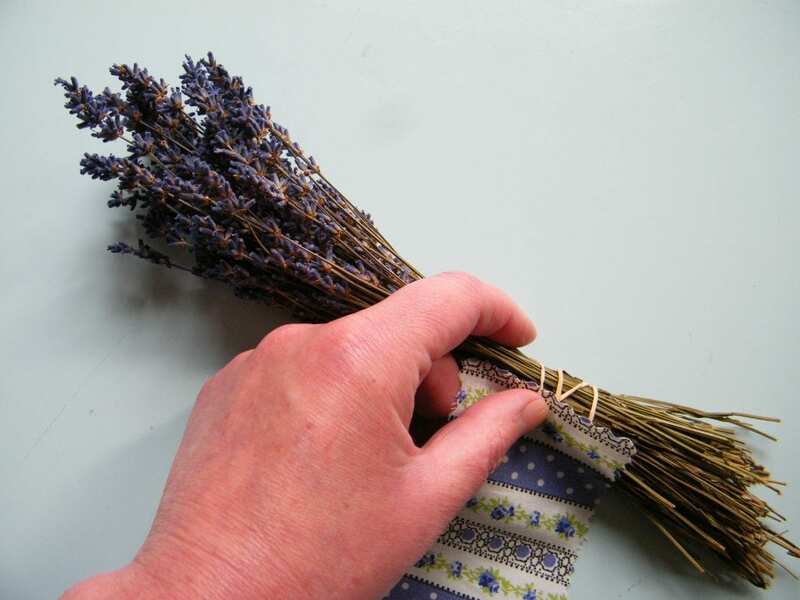 Trim the ends of the raffia and the ends of the lavender stems with the scissors. To make bigger bouquets, you will need to experiment with increased fabric sizes. 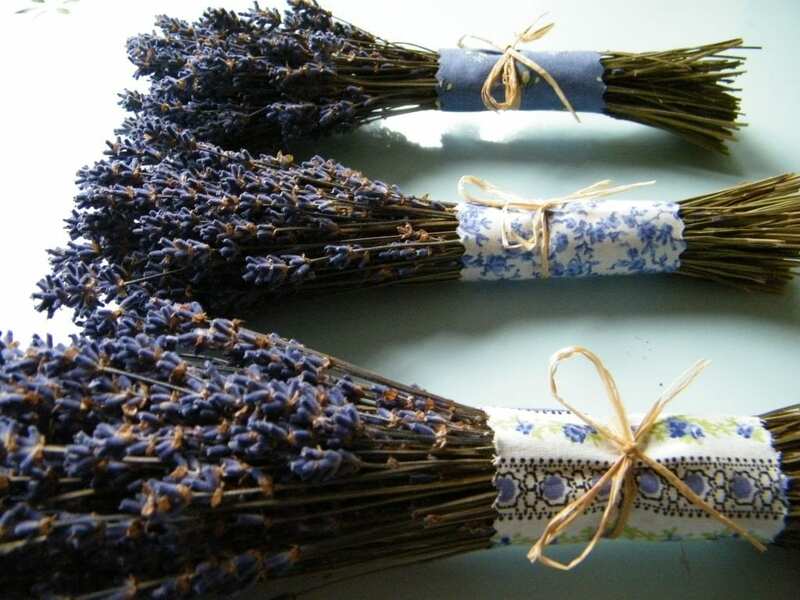 Lavender stems are readily available online, or make the gift even more personal by using lavender picked and dried from your own garden (this may take a bit of forward planning! Maybe next year…). If you don’t have any fabric, you could do what I did and buy remnants on eBay. Check out my other lavender makes such as more dry lavender bouquets, lavender pomanders, tea, lavender shortbread and more.